This week we were able to finally get right into our biology science unit. We read a letter from Andy, who was having a great deal of trouble growing tomatoes. We analysed his letter and carefully took note of all the things Andy was doing to help his tomatoes grow. He gave them lots of sunlight on the window sill of his apartment. He watered them and fertilised the plants frequently. Andy says his plants grew well and produced yellow flowers, but no tomatoes at all. 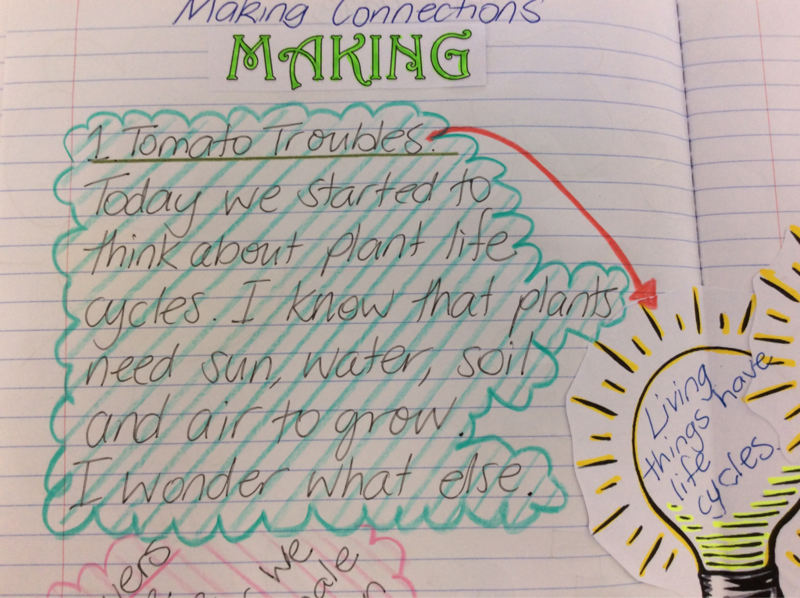 We thought about all the possible reasons why Andy's tomato plants were not fruiting and answered some questions to show what we thought and knew about the topic. 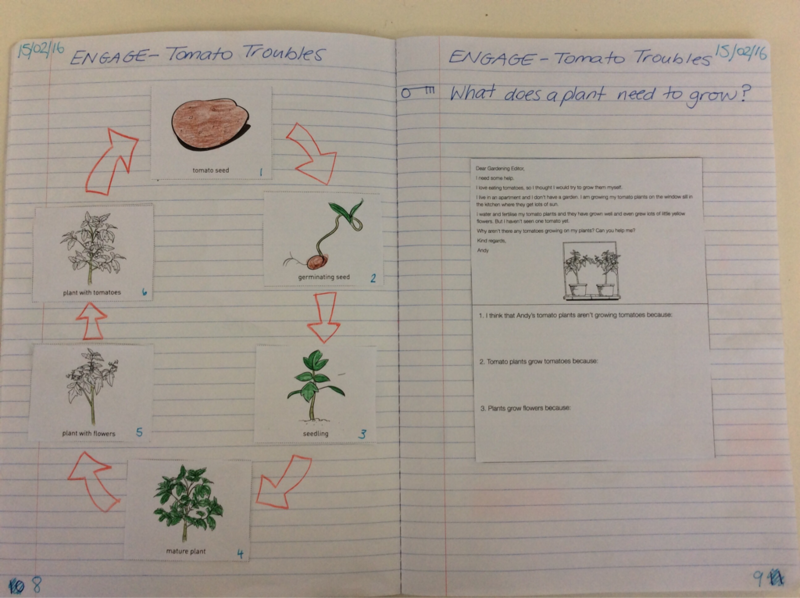 After that we attempted to show our knowledge of flowering plants by arranging the stages of a tomato plant cycle correctly. Mrs Marini has planted a tomato seedling in a big pot out on the balcony. Hopefully we will see tomatoes. Why do we use a science chat-board? A science chat-board is a display area where we share our changing questions, ideas, thoughts and findings about a science topic. What does a science chat-board include? A science chat-board might include dates and times, written text, drawings, measurements, labelled diagrams, photographs, tables and graphs.